Instructor User Guide SyllabusWhat is the Syllabus tool? After you have selected the tool, options for adding an item will be at the top. 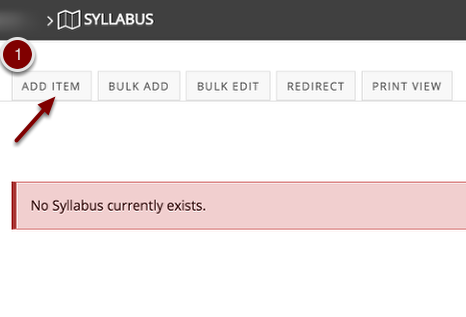 To add an item to the syllabus tool, select the 'Add Item' tab. Give the item a title. Step 3. 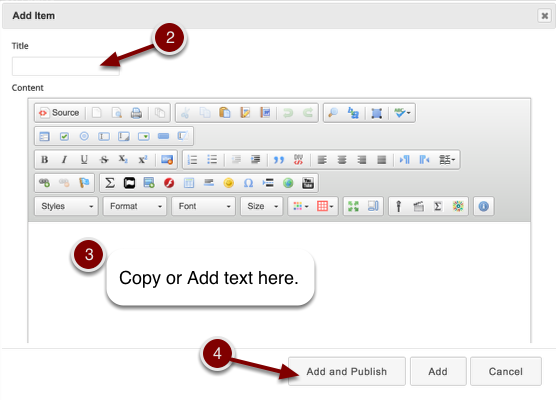 Copy and paste the syllabus or type the text into the box. Prev: How do I modify preferences in the Statistics tool? Next: How do I create a multi-part syllabus based on number of items needed?